When lawmakers struck a solar energy compromise on Beacon Hill last year, the industry claimed it was inadequate. The promise: We’ll be back soon, asking for more. Solar developers and their advocates made good on that promise Tuesday, packing a State House hearing as they push legislators to act yet again. This recurring debate involves “net metering,” the way in which solar panel owners are reimbursed for sending excess power to the electricity grid. Predictably, the solar industry says the caps in National Grid and Western Mass. Electric territories have been reached again, curbing solar growth. The Solar Energy Industries Association argued Tuesday that $78 million worth of projects are on hold as a result. Massachusetts ranks second in terms of total solar jobs, with nearly 15,000 workers. 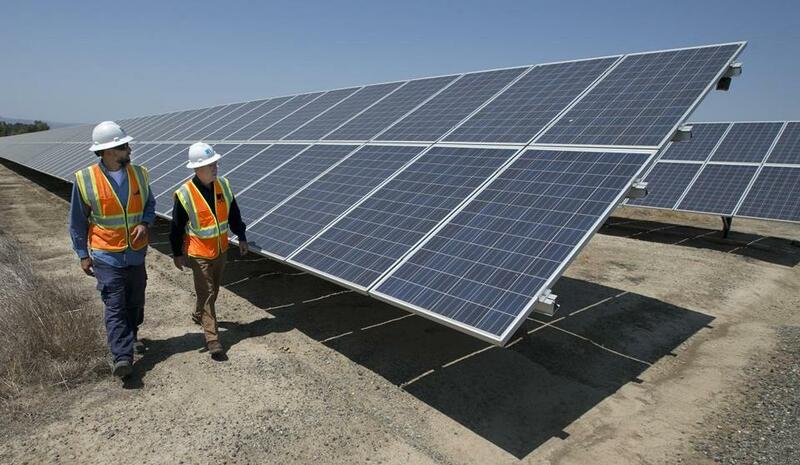 But the trade group says the state’s solar sector actually shrank for the first time last year, losing about 500 jobs. It’s time, the pro-solar folks say, to increase the caps again, this time by 5 percentage points. Associated Industries of Massachusetts didn’t testify Tuesday. But the big employer group will probably push back again, pointing out that the state’s net metering approach contributes to the high cost of energy here. Other states thrive, the group says, with less generous reimbursements. AIM would prefer that lawmakers give the Baker administration’s new solar subsidy program time to take effect, to gauge that program’s impact, before making any changes.